Get ready for 2019's very first meteor shower due to light up skies tonight. The Quadrantids will be visible from certain spots in the Northern Hemisphere – but stargazers must be quick. Unlike the Perseids or Geminids, the Quadrantids have an extremely brief peak of just a few hours. This is down to the angle the Earth crosses the stream of the particles (perpendicular) and the size of the shower's stream (thin). According to the International Meteor Organization, this year's peak should take place at roughly 2am UTC on January 4. 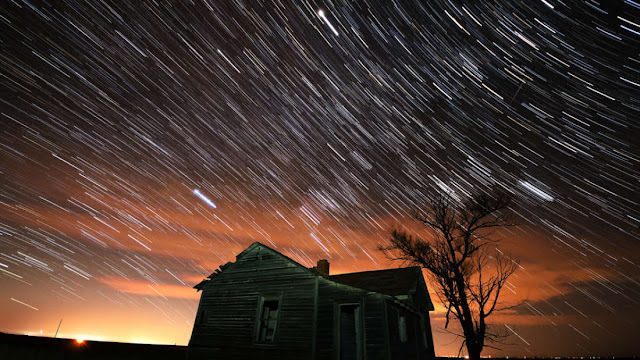 At which time, it is possible to see 60 to 100 – and sometimes as many as 200 – meteors an hour. The good news is that in 2019, the Quadrantids will coincide with a new moon, which means less moonlight and so a darker sky. All the better for viewing. While the shower should be visible from anywhere in the mid-northern to far-northern latitudes, the timing of this year's peak means people in and close to Europe are in the best position to see it, reports Earthsky. According to Accuweather, the best spots for viewing in the US will be in the central and southwestern states. In the Northeast, meteors may be obscured by clouds and uncertain weather patterns, while viewing in the Southeast may be interrupted by storms. The Quadrantids (which, unlike most showers, originate from an asteroid – asteroid 2003 EH1) are particularly special and awe-worthy because of their bright fireball meteors. From a stargazing point of view, this means they are larger, brighter, and last longer than your average meteor streak. In the sky, they seem to originate from the Northern tip of Boötes, a constellation in the Northern Hemisphere, currently visible in the north-northwest direction. And while this means they can rarely be seen from the Southern Hemisphere, it is not necessary to find the radiant to view from the Northern Hemisphere. This is because meteors will shoot out across the sky. For top viewing tips, NASA recommends finding a spot far away from any glaring street lights, lying down on your back with your feet pointing northeast, and looking up. It can take up to 30 minutes for your eyes to adjust to the darkness. The Quadrantids are not the only exciting space event coming up in the next month – on January 21, a giant super blood moon is due. For a look at what's next (space-wise) in 2019, check out this article here.